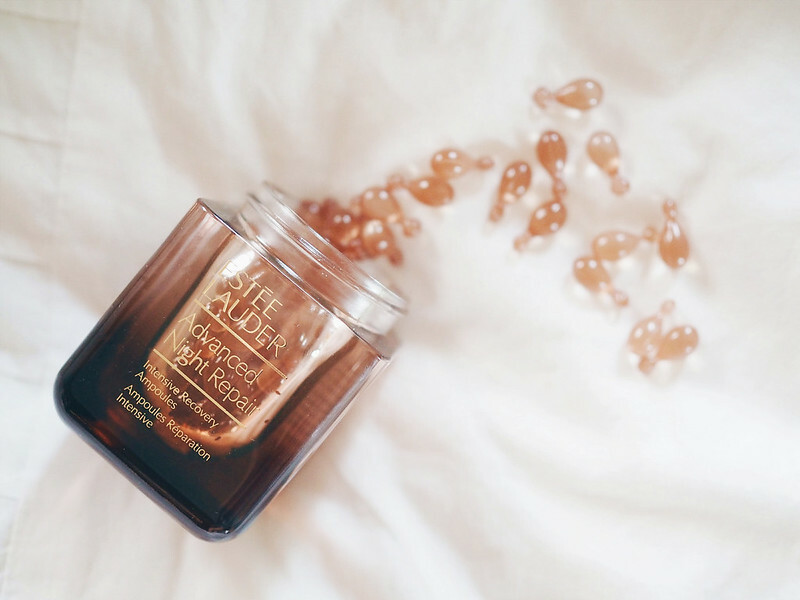 SHENNYYANG - Singapore's Lifestyle & Travel Blogger: Meet Estee Lauder Superstar - Advanced Night Repair! 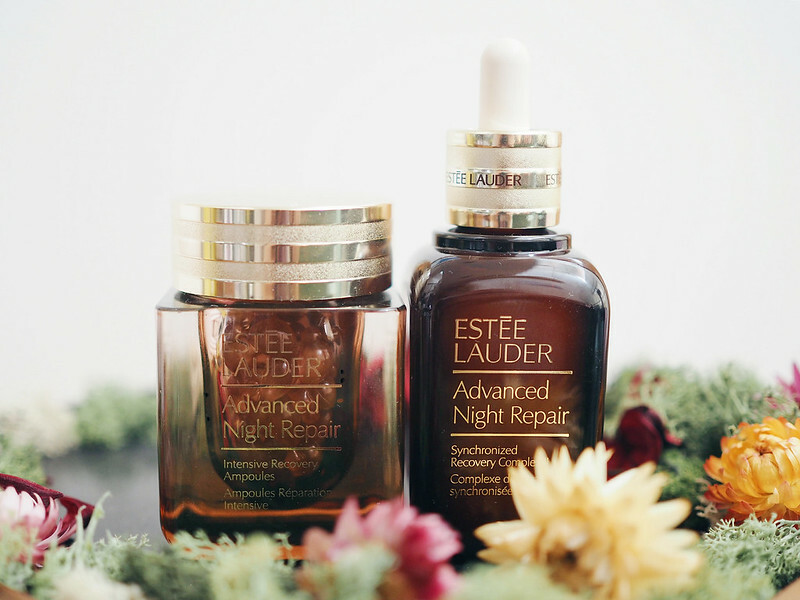 Meet Estee Lauder Superstar - Advanced Night Repair! Do you start taking care of your skin only when you see the wrinkles forming, when the damage is already done or do you start taking care of it while you're still young? Well, I am a firm believer of the latter! As early as your 20s, our skin can begin to desynchronize due to everyday environmental damages and aging! Honestly, I wasn't blessed with a good skin especially when I was a teen going through puberty... so that's also one reason why I am so into skincare & beauty! I started trying out all sorts of skincare products to see which works best for me, and which does not. 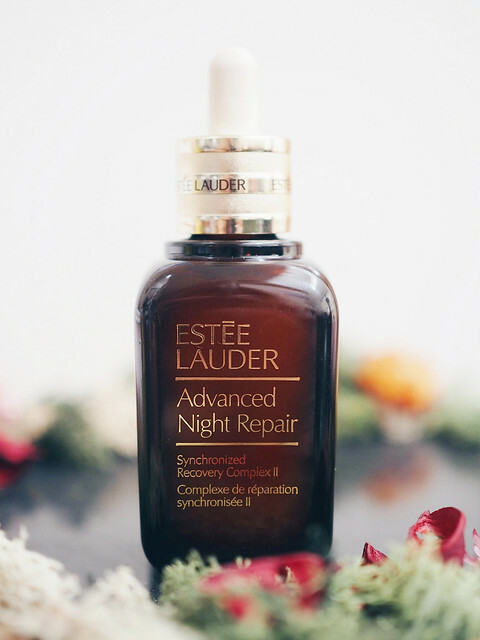 Recently, I was introduced to the Estee Lauder - Advanced Night Repair Serum! It helps to re-synchronize our skin cells to fight various skin damages and make other skincare products even more efficacious! Tested and proven: The Estee Lauder Advanced Night Repair dramatically reduces the look of all key signs of ageing! Lines & wrinkles look significantly reduced Skin feels smoother, hydrated, stronger Skin looks younger, radiant, more even toned More than 75% of women felt their skin looked more youthful in just 4 weeks 82% felt their skin was immediately hydrated 83% felt their skin looked healthier, fresher, more rested in just 4 weeks Effective for every ethnicity 25+ Patents and Patents Pending Worldwide *Based on NPD Group Inc. unit sales for department stores for 12 months ending March 2016. 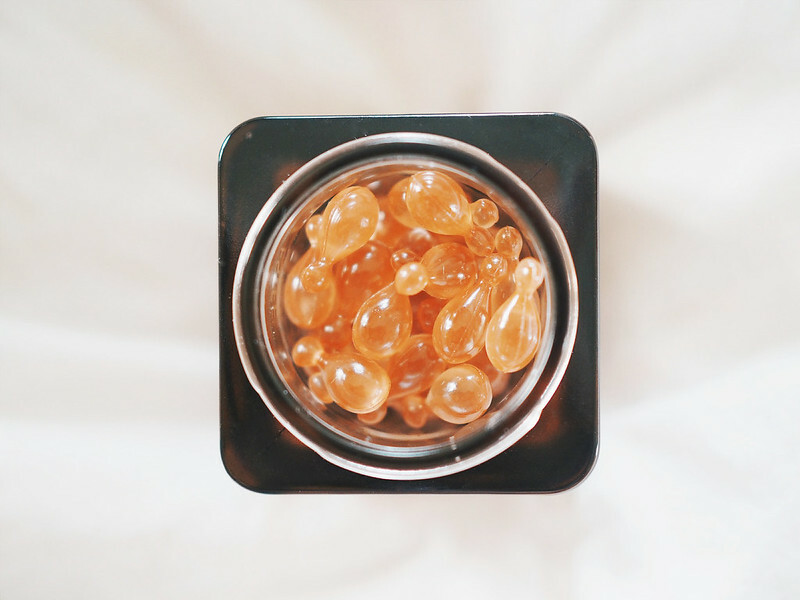 Contrary to its name, the Advanced Night Repair Serum can actually be used for both in the day and night! When applied in the day, the Advanced Night Repair Serum strengthens and helps protect skin from environmental assaults. At night, it helps to maximise the power of our skin's natural night-time renewal with the Estee Lauder exclusive ChronoluxCB™ Technology. 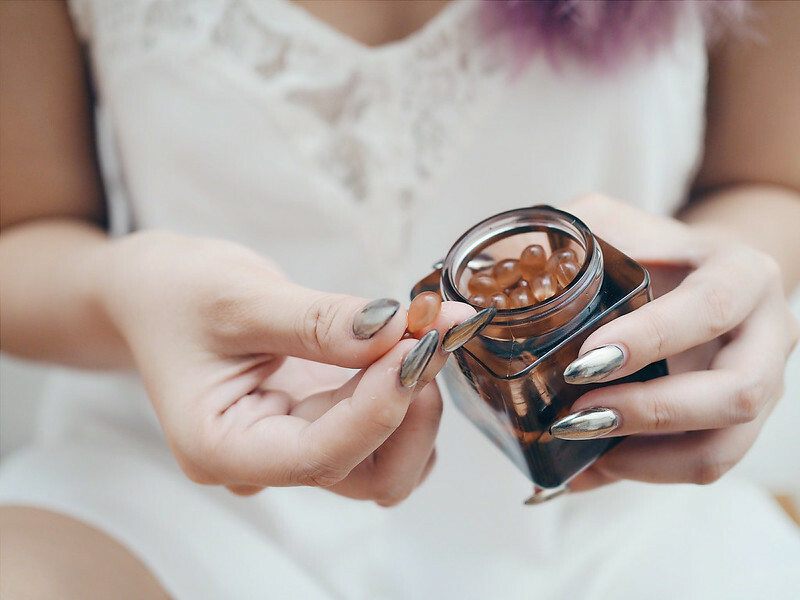 The Advanced Night Repair Serum reveals a smoother, more radiant, younger look so you can wake up to a more beautiful skin every day. I've been using the Advanced Night Repair serum every night for almost 1.5 weeks and I indeed love the results! I would usually put a few drops onto my fingertips, then apply them gently all over my face and neck, starting from the center & outwards ;) I love how it makes my face more hydrated and radiant! Definitely saving me from my late night sleeps! And as you know, the Advanced Night Repair Serum can be used with any Estee Lauder moisturizer to boost the product efficacy. It also works really well with the Estee Lauder Advanced Night Repair Ampoules! This powerful recovery concentrate calms and rapidly renews the look of over-stressed skin, helping to strengthen its resistance against future assaults. Ever heard of the quote "A little goes a long way"? 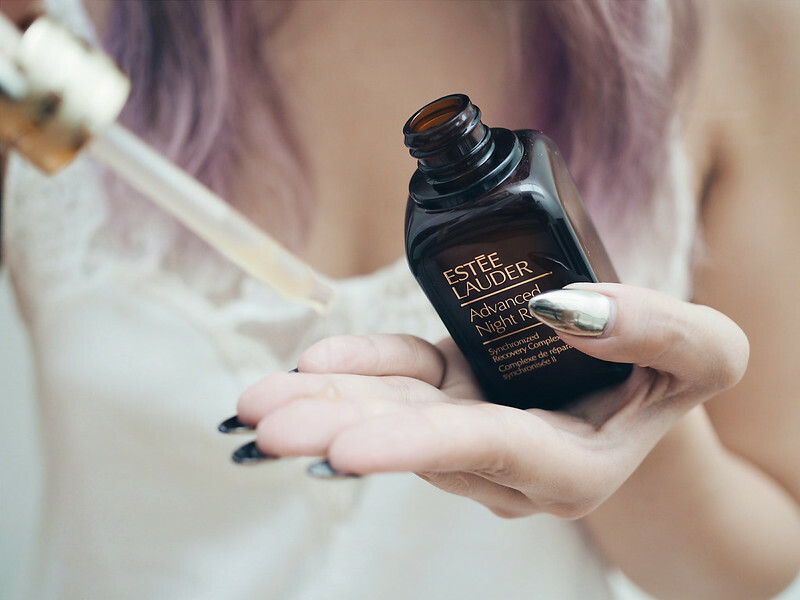 The Estee Lauder Advanced Night Repair Ampoule is precisely this - It is a small ampoule yet consists of such concentrated amount of treatment oil! It is especially best to use when the skin feels stressed from environmental damage, lack of sleep, travel or even changes of season/weather! Which is perfect for me since I often sleep late and travel! Thank you So much for posting all of your favorites!! My usually flares up when the weather changes too!